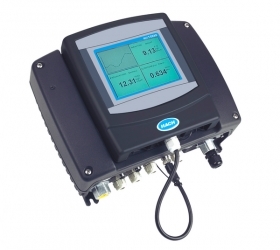 The digital ultrasonic probe Sonatax sc continuously measures the sludge level or the sludge height. Optimize sludge extraction, manage recirculation, and be warned of potential solids washouts or process upset by continuously measuring the sludge blanket level. The digitized probe eliminates interferences and comes with automatic temperature compensation and position sensor. NOTE: For graphical display of sludge profile, the SONATAX sc probe must be connected to a sc1000 controller. The wiper functions with a magnetic connection and without a shaft so there are no o-rings to replace and no need to open the probe housing. Tools are not needed to replace the wiper blades. The SONATAX sc probe automatically scans a range of frequencies to find the ideal settings for the solids concentration for the application. Built-in software disregards signals reflected from tank structures such as pipes, rods, etc. The fully digitized SONATAX sc probe means there are no electromagnetic interferences. Instantly resume measurements after skimmer passes with the built-in position sensor that also compensates for angle when the probe is not mounted exactly vertically. Automatic temperature compensation assures ultrasonic measurement is unaffected by seasonal changes in water temperature - seasonal calibration becomes unnecessary. A visual performance LED indicator light on the SONATAX sc probe provides quick glance assurance of proper performance. Green light indicates "okay," red indicates warning. 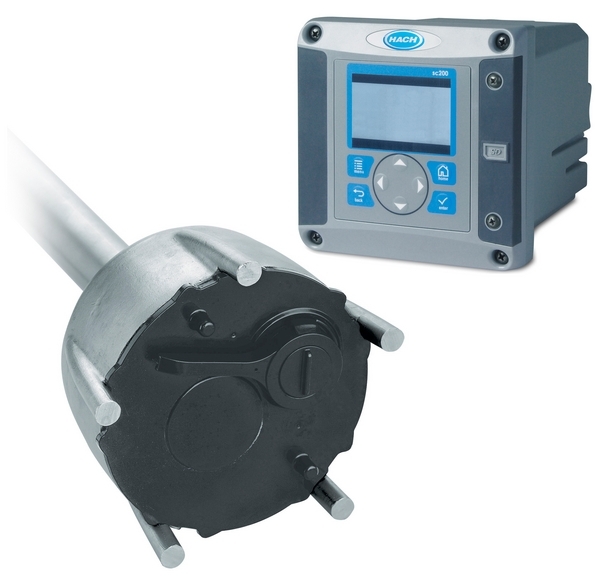 Troubleshooting, particularly in applications with multiple sludge blanket level probes connected to one controller, is quick and easy.